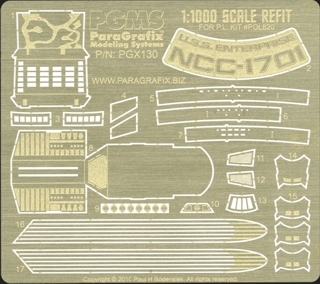 Super detail the new 1:1000 scale Enterprise Refit from Polar Lights. At 4-1/4 by 3-3/4 inches (10.8 by 9.5 cm), this set is jam packed with authentic detail. For Polar Lights kit number POL820.